Whichever the season of the year, the Wedding Season is always in full swing. If you are among the brides to be looking to begin planning that all-important day, you have a lot to consider. One of the most important things you have to think about is where your wedding is to take place. The perfect picturesque place should be one that it able to photograph well. County Waterford in Ireland certainly has some spectacular places to get married. Here are some of the most exquisite locations I had a pleasure of photographing the Newlyweds during their dream Wedding Day. Coastal wedding scenes are classic in photography. Everyone seems to want the same seaside images, as they seem the most outstanding and attractive. Where the most popular beaches are wide and perfectly white and sandy, the intimate tidal Stradbally Cove by the Copper Coast has more of a fjord appearance. The cliffs against the multi-coloured sand offer any wedding photography great character and a singular feel. You may want that extraordinary aspect for your wedding photos to stand out. No matter what religious affiliation the happy couple happens to be, a wedding always has some sort of spiritual aspect to it. The very idea of two hearts becoming one is spiritual in itself and therefore a spiritual backdrop is a great choice. Saint Declan’s Well is among the most spirit filled locations and picturesque areas to photograph. Couples can choose to have photos on the beach, at the well itself, wild cliffs or medieval Round Tower. The results are always beautiful and make you feel as though your union is blessed by the saint himself. Good photography is all about contrast. Having color in the photo allows for contrast on the stark white gown of the bride. The colours found along the Gold Coast are among the most vivid around. A wedding photoshoot here will certainly allow your wedding memories to shine. 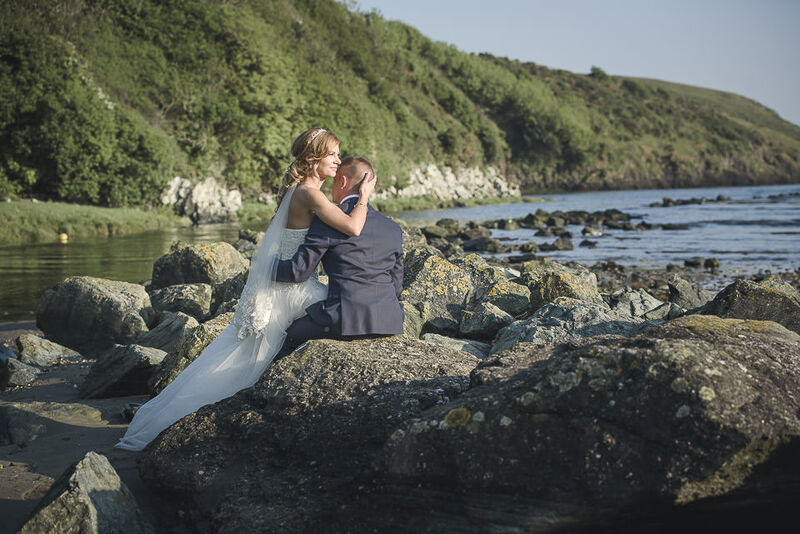 Coastal pictures at this area of Dungarvan are spectacular no matter the season of the wedding, so this is a great choice for any bride looking to maximize the overall experience. Some wedding photography puts so much effort on the actual places that the happy couple can get lost in the dramatic backdrop. Clonea Beach is a truly beautiful setting, but not for the same reason as others. The beauty here is more subtle and puts a great emphasis on the couple itself. The jagged rocks are a clear contrast to the struggle the two have gone through to find one another. Poetry in photography is what you will find at this popular photography spot. 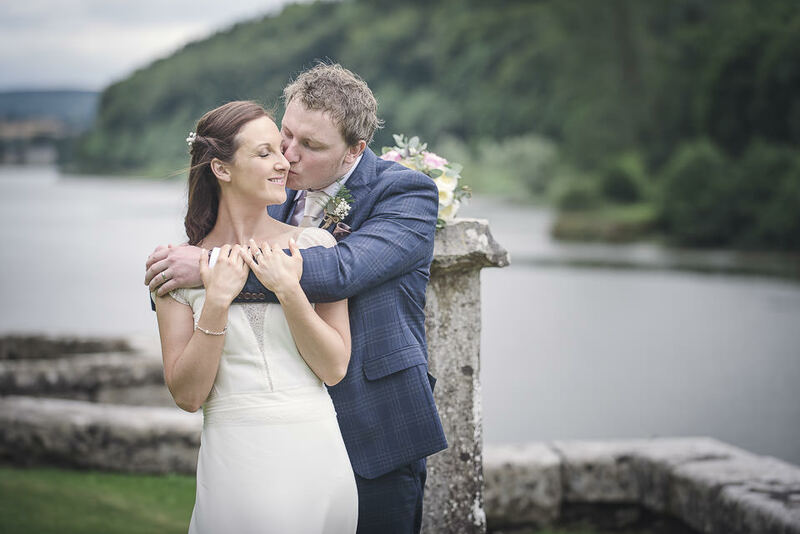 Coastal weddings can be beautiful with the dramatic appearance of the coastline against the calm or even choppy waters, but no wedding photography is quite so spectacular as the photos taken at places with their own character and history. One of them is Ballysaggartmore Towers near Lismore. The neo-gothic structure surrounded by the thick, mystic wood may seem like an odd place to take romantic photos, but this seemingly cold and abandoned place becomes filled the with the warmth of the couple’s love and the promise of their new life together. Shots from the arches to the small hidden corridors found throughout the property are perfect areas for the camera to capture true love growing ever stronger between two people. The Indian Gate gets most of the attention for its unique appearance and a love story behind it. You can feel like royalty on your special day without having the huge expense of a royal wedding. The pictures from this area bring the setting of true romance to the occasion and even if you did not meet your love through a fairytale, no one will be able to tell from the pictures. 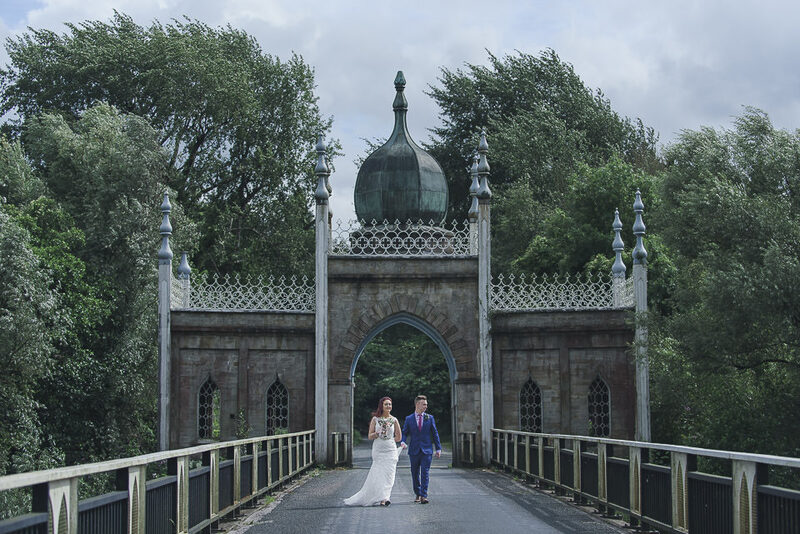 Among the most stunning areas best for wedding photography would have to be Dromana House and Gardens. The combination between the aesthetic house with wonderful owners and the natural environment is striking and surely contributes to the already moving and special day. Your wedding will be a day that you will remember for the rest of your life. Where the main photography is to be taken is a very important decision to make. Take the time to examine what you expect from the experience and do not simply just settle on the first photography venue that is available at the time. You will have many decisions to make throughout your wedding planning journey. You will have countless people pulling you into many directions, but always remember one thing: the guests will leave and not all will remember the occasion, but you and your love will have those memories and photos forever. When you look back on your special day, you do not want to have any regrets on where the photos were taken. It is your choice: whether you pick one of the above spectacular locations or your favourite place that you feel connected to. All that you have to do is to ensure that the captured memories of your Wedding Day are nothing but fond throughout your life.